We offer you a freezer for your ice blocks and a refrigerator in order to troubleshoot. The camp ground will be open and accessible from May 1st until September 30th, 2018. Accepted means of payment: French banking cheques, chip cards, credit cards, as well as French Holiday Cheques. Dogs and cats are allowed on the camp ground and free of charge. They should however be vaccinated and held on a leash within the camp ground. 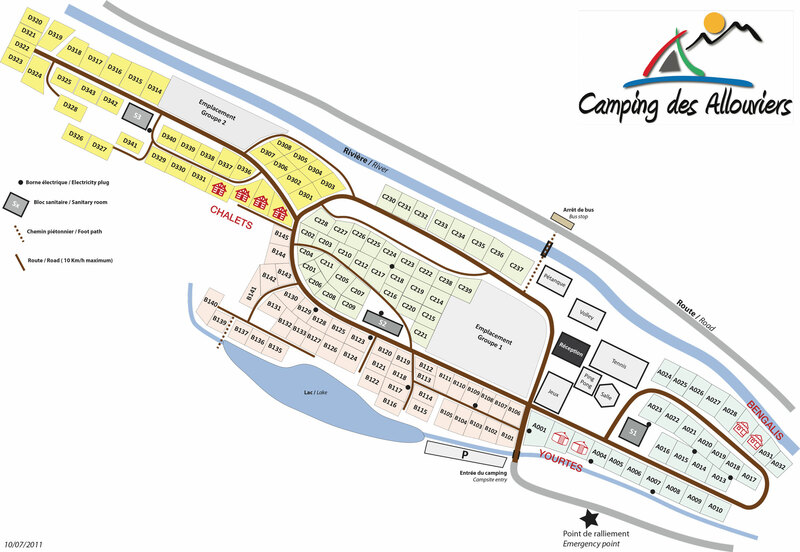 This map allows you to situate the different zones and camping places of the camp ground. Beware: the dimensions of the camping places on the plan are not drawn at a true scale.